Sarah Guillory: RECLAIMED is available for pre-order! So I had a nice little surprise on Thursday afternoon - Reclaimed went up on Amazon for pre-order. My awesome CP Kate tweeted me a link, and I had a little mini heart-attack when my book showed up. I had no idea it was going up this early! Thanks to everyone who has already pre-ordered it. The whole thing is a little surreal. 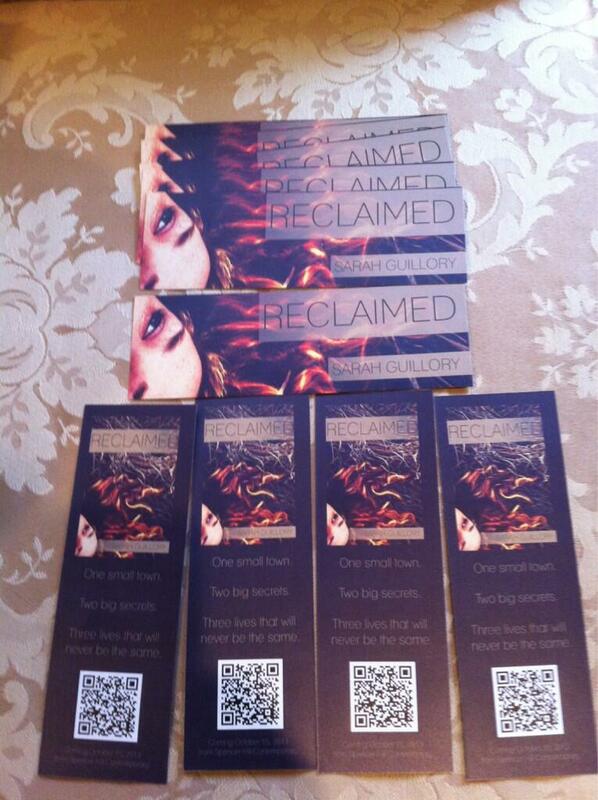 If you're interested, you can pre-order Reclaimed HERE. Also, on Saturday I received a huge box of Reclaimed bookmarks from SHP. Aren't they gorgeous? They have the tagline on the back, which I love. One small town. Two big secrets. Three lives that will never be the same. Seriously, y'all, I am so looking forward to October and being able to finally share this book with you.